A growing number of Licensed Practical Nurses find steady and rewarding employment in the complex and specialized health care industry. Nursing programs prepare graduates for employment in traditional settings, but more and more nurses pursue specialized training to obtain employment in the exciting world of forensics, community health, and the military. Geriatric nursing is another popular option where there’s a constant demand for skilled professionals to care for seniors in their homes or long-term care facilities. The widely-publicized shortages in the industry attract a growing number of prospective candidates, but few realize the mental and physical demands of the job until they begin working in the high-stress areas of an emergency room or another acute care environment. Nurses work unconventional hours and are exposed to infectious diseases, toxic chemicals, and irate patients and their family members almost daily. Therefore, it is important to take time for research and self-introspection before plunging into this rewarding but self-sacrificing career. Utah’s nurse education programs prepare students to function at the first level of nursing at hospitals, nursing homes, and other healthcare settings. According to the DOPL specifications, students must enroll in accredited programs (ACEN, CCNE, and COA), which provide a combination of classroom, simulated lab, and clinical instruction. In most programs, classroom instruction runs concurrently with the supervised clinical experiences. Classroom topics include the fundamentals of nursing, pharmacology, caring for the adult, pediatric-maternity nursing, principles of nutrition, mental health fundamentals, general psychology, professional transition for the practical nurse, and gerontology. The nursing lab sessions give students the opportunity to practice patient care without fear of endangering patients. The modern simulated labs at Utah’s nursing schools provide an atmosphere for interactive learning using computerized manikins and volunteers, which simulate hospital, nursing homes, and other medical environments. The clinical sessions reinforce the instruction in the classroom and laboratory sessions. Students are assigned to a community hospital or nursing home to care for patients under the guidance of the course instructor or registered nurse. Students work in teams and gain valuable insight into the workings of a medical environment and health care teams. The clinical experience will require students to perform rigorous physical activities, which might involve lifting patients, bending, and standing for extended periods. Applicants to the program should have the physical, mental, and emotional stability to cope with the rigors of the program. Applicants must have a Utah State CNA license, AHA Health Care Provider CPR card, a high school diploma, documentation of required immunizations, (MMR, varicella, Tdap, Hep B, and seasonal flu), and letters of reference. Upon acceptance into the program, students must pass a physical exam, drug screen, and background check. Prerequisite courses include anatomy, physiology, general biology, college composition, microbiology, and nutrition. Students who complete the program will be eligible to take the NCLEX-PN to work as Licensed Practical Nurses. Graduates also have the opportunity to apply for admission to registered nursing programs. There are currently 11 Board-approved practical nursing programs in Utah. Compare the NCLEX-PN pass rates to increase your chances of success on the exam and make sure to enroll in accredited programs to receive the Board’s authorization to take the NCLEX. Duration and Cost of Training: The time to complete the practical nursing program in Utah depends on the student’s schedule – whether enrolled full-time or part-time. There are 11 approved practical nursing programs in Utah with an average cost of $5,200 for tuition only. Additional costs include prerequisite courses, CPR, CNA licensing, admission fees, admissions exam, textbooks, uniform, shoes, lab supplies, liability insurance, and other miscellaneous costs. The estimated total cost of attendance is $7,400 for a 12 to 18-month program. Financing may be available through federal funding, private loans, scholarships, and grants. Passing the NCLEX is essential for obtaining a license to practice as a practical nursing in Utah. Graduate nurses are eligible to take the computerized adaptive test after submitting a complete application for licensure by exam and meeting the DOPL’s requirements. The NCLEX is the final step to state licensure as it evaluates graduates competency to supply safe and effective care as entry-level nurses. The standardized test is utilized nationwide to ensure public safety and maintain a recognizable standard for nursing across state borders. Pearson Vue is the approved testing provider in Utah and other states. The testing service collaborates with the DOPL to identify eligible candidates and communicate the final results. Registration for the exam is available online or over the phone. The registration fee is $200 each time the candidate takes the exam. Keep in mind that you must register with Pearson Vue and the DOPL at the same time as the licensing agency will review your completed application for licensure to determine your eligibility to take the exam. Pearson Vue will issue the ATT letter via email. The letter will contain details for scheduling the exam at a testing center in Utah. There are currently three testing centers – Salt Lake City, Bountiful, and Ogden – but you can take the test at any location for licensure in Utah. The ATT expires in 90 days, so it is important to schedule and take the exam before it expires. Extensions are not available. Review the Candidate Bulletin as it contains valuable information on scheduling the exam, the exam content, and what to expect on exam day. Although the computerized test scores as you take the exam, the test results will not be available immediately. The DOPL will send notification within 48 hours if you pass the exam. However, it could take up to six weeks to receive official results. The DOPL will mail a Candidate Performance Report (CPR) if you fail the exam. Use the report to assess your strengths and weaknesses in preparation for success the next time you take the exam. You must submit another application and fee and wait at least 45 days before submitting another request to take the NCLEX. Utah’s Division of Occupational and Professional Licensing promotes safe and quality healthcare services by providing initial and continuing education opportunities for healthcare workers. New nursing graduates seeking to practice as practical nurses must file an application on a form prescribed by the Division and pay the application fee. Applications must also possess a high school diploma or equivalent, be in sound physical and mental health, complete an approved nursing education program, and pass the NCLEX. Utah participates in the Nurse Licensure Compact (NLC). Therefore, nurses licensed in other NLC states may practice without an additional license. 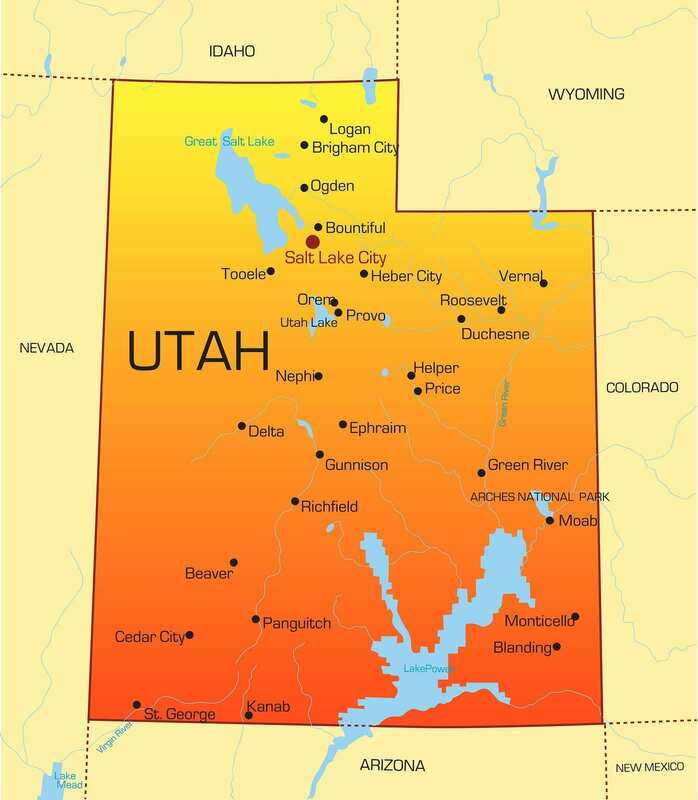 Applicants whose primary residence is another compact state can apply for a license only after declaring Utah as their primary state of residence. LPNs licensed in a non-compact state can apply for licensure by endorsement. Enclose the $100 non-refundable application fee payable to “DOPL”. Provide supporting documents, including an explanatory letter, police records, and court documents, for all “yes” answers to the Qualifying Questions. Submit two sets of fingerprints for a records search through the Utah Bureau of Criminal Identification and the Federal Bureau of Investigations (FBI). Fingerprint services are available at the DOPL’s office for DOPL applicants – present a valid government ID. Include two blue fingerprint cards (Form FD-258) with your application if you’re unable to obtain fingerprints at the DOPL’s office. Request your official transcript from the accredited nursing program (ACEN, CCNE or COA) to be sent directly from the school to DOPL in a sealed envelope. The DOPL will also accept transcripts via email from the school’s registrar. Submit a CGFNS Certificate and CES Professional Report if you graduated from a foreign program. CGFNS should send the report directly to the DOPL. Important: Answer ALL questions, including questions related your citizenship status and declaration of your primary state of residence. You must include a copy of a valid U.S. ID with the application. Register to take the NCLEX by submitting an application to Pearson Vue online or over the phone, (866) 496-2539. The name must match your ID and the name submitted on the application for licensure. The DOPL will hold your application in incomplete status for 30 days. If you fail to submit the necessary information to complete the application within the 30-day period, your application will be denied. If you do not hold a US Driver’s License or another state ID, you must present a legible, current copy of a valid government-issued documents indicating your authorization to work in the US. If you’re licensed in another compact state, you may practice in Utah without obtaining another license. Submit an application if you wish to declare Utah as your primary state of residency. License holders from a non-compact state should apply for licensure by endorsement. Complete the application for licensure by endorsement. Submit two sets of fingerprints for a records search through the Utah Bureau of Criminal Identification and the Federal Bureau of Investigations (FBI). Fingerprint services are available the DOPL’s office for DOPL applicants – present a valid government ID. Include two blue fingerprint cards (Form FD-258) with your application if you’re unable to obtain fingerprints at the DOPL’s office. Provide verification of an at least one active practical nursing license from another state. You may use a license verification form sent directly from the licensing agency to DOPL if your state of original licensure does not participate in Nursys. Foreign nurse graduates must also provide evidence of 960 hours of practice or graduation from an approved nursing program, or completion of a nationally approved refresher course, or the acquisition of a professional license upgrade within a 5-year period prior to submitting the application for endorsement. The alternative is to provide documentation of at least 6,000 hours of licensed practice as a nurse in the US. Important: Answer ALL questions, including your citizenship status and declaration of your primary state of residence. You must include a copy of a valid U.S. ID with the application. Utah LPN licenses expire on January 31 during even-numbered years. There is a penalty for late renewals. Include the renewal fee of $58, payable to DOPL. Answer the certification questions and provide additional documentation if applicable. Enclose documentation of legal name change if applicable. Sign the affidavit included with the application. Send the application and accompanying documents to the address provided below. LPNs must complete at least 30 hours of approved continuing education or 400 hours of licensed practice or 200 hours of licensed practice and 15 hours of approved continuing education. It is unlawful to continue practicing if your license expires. There’s a $20 additional fee if you reinstate your license within 30 days of expiration or a $50 penalty for reinstatement requests after 30 days and up to two years. If you fail to reinstate your license after two years, you must submit a new application and meet current requirements for licensure. The job market for LPNs will remain positive for the next decade as Utah’s demographic trends and statewide legislation drive demand for qualified nurses. Employment for registered nurses is substantially higher than licensed practical nurses. However, more than 55 percent of practical nursing graduates can be optimistic about finding employment in long-term healthcare within 12 months of licensure. The Bureau of Labor Statistics credits the projected 26 percent growth for nurses, between 2010 and 2020, to the aging population and advancements in medical care. Obtaining a credential is immensely helpful to your career as a nurse. An American Association of Colleges of Nurses study confirms that nurse graduates with a bachelor’s or master’s degree are more likely to receive a job offer after graduation. There’s a huge overall demand for nurses in Utah, and the figures confirm that the demands are not likely to change in the near future. Some areas of the state are experiencing a shortage of qualified nurses. However, employers are refusing to settle for just anyone to fill vacant positions – in spite of the shortages. Apart from a sound education, LPNs must have the technical skills – interpersonal, communication, and critical thinking – to ensure patient satisfaction. New LPNs not only have the assurance of employment, but also a competitive wage. The median annual salary for LPNs in Utah, as of May 2014, was $43,080. They are phasing out LPN’s in Utah, so why bother?? I agree not much longer and you can have an associates degree. I didn’t think LPNs were even around anymore ? Wht is the rate difference between a LPN and RN? Unfortunately, almost no one is hiring LPN’s anymore. I retired just in time! Look at all those hating comments up there… Lmao.